Any time you add a new piece of equipment or software to your operation, there’s potential for disruption, confusion, and even pushback from employees toward the new device or system. It’s only natural as people don’t like change – especially in the workplace. The good news is, these changes don’t have to inspire hesitation. When implemented and approached with care, equipment and system changes can actually be welcomed into the fold – and adding an automated dimensioner is no exception to this rule. So how do you ensure a smooth transition to automated dimensioning? Let’s say you’ve done the ROI analysis and determined that a pallet dimensioner is going to help you improve your bottom line. Now it’s time to dig into the details of systems integration and installation. After process and pricing, integration is one of the first things we discuss with new customers as it’s incredibly important to get this aspect of the implementation right. If you’ve decided to buy a dimensioner, you already know how you want to use the data collected by your device. Next, think about the systems that need access to the information in order to help you achieve your goals. Will your dimensional data be uploaded to a WMS to help with inventory management, storage optimization, order fulfillment, etc.? Will it be fed into a TMS to help you find the best rates and improve the effectiveness of your system’s many other functions? Will it live within a separate freight management solution like our FreightSnap Density Management System platform? Or, will the data be used by multiple systems simultaneously? All are possibilities that should be considered. To maximize the productivity of your freight dimensioner, you’ll want to install it in an area that’s easy to access by forklifts (preferably from at least two sides to ensure smooth traffic flow in and out of the measurement zone). Likewise, if you’ll be using your dimensioner over a floor scale or pallet wrapper, you’ll want to leave enough space for forklifts to maneuver effectively. 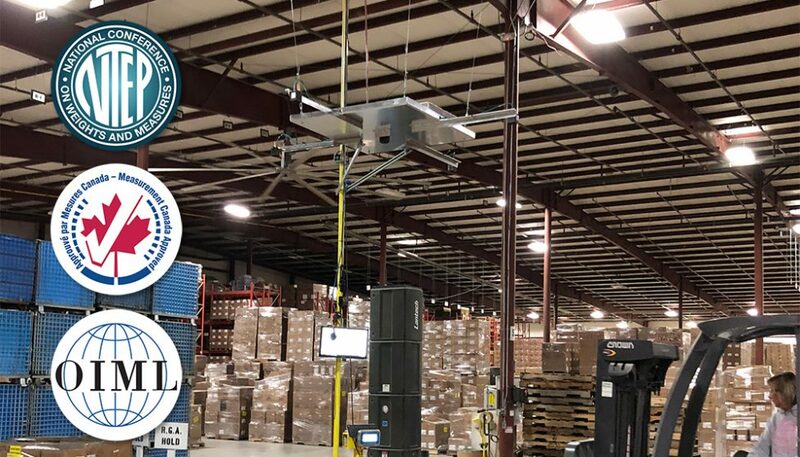 It’s also best to avoid installing pallet dimensioners near direct sunlight, as the light can filter into the measurement zone and affect the sensors on very bright days. Indoor lighting causes no such issues. FreightSnap dimensioners can be triggered in multiple ways. Most companies choose to trigger the device by scanning a barcode containing a unique ID number used to identify the freight. In this case, barcode scanners can be installed near the unit or connected to forklift computers, which allows forklift operators to quickly trigger the dimensioner without leaving the vehicle. Companies that don’t use barcodes may choose to manually enter a shipment’s ID number into the dimensioner’s front end application. This application can be installed on a computer stationed near the unit, or on a mobile device, such as a phone or tablet. The method that works best for you will depend on your current process and operation. After you’ve sorted out the integration and installation details, it’s time to get everyone who’s going to use the new equipment up to speed – typically anyone who’s responsible for receiving freight or getting it out the door. First, let them know why you’ve decided to invest in the equipment, framing it in a way that accentuates the positive effects the dimensioner will have on their day-to-day responsibilities. While it’s true that a dimensioner is going help your company improve productivity, avoid billing adjustments, and generally help you save time and money, it’s also going to make life a lot easier for your staff. There will be no more fumbling with tape measures, taking pictures with a phone or camera, or manually uploading and entering all that information into your back-office systems by hand. The dimensioner is going to turn those tasks into a one-step process that takes just a few seconds. Ultimately, the dimensioner will help your staff process more freight in less time, with less effort involved, which is something your entire workforce can get behind.